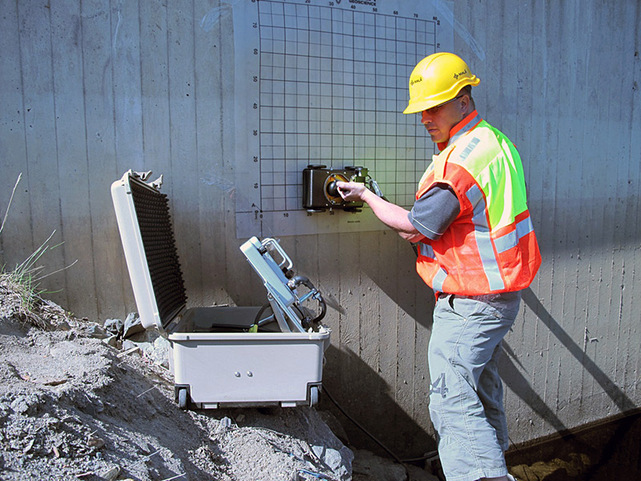 The MALÅ CX ground penetrating radar (GPR) concrete scanning system is designed for the non-destructive investigation and imaging of concrete and other man-made structures. “In Australia, we have found the main targets of concrete investigations are post-tension cables and utilities” says Mads Toft of MALA GPR Australia. “The system is also commonly used for the mapping of steel reinforcement which under some conditions should not be cut by coring. Typically, a locator professional using the MALÅ CX concrete scanner would be called in to \’clear\’ an area prior to cutting or coring the concrete slab. Much because of the integrated GPS support system, other common applications for the MALÅ CX ground penetrating radar (GPR) system includes void detection and asphalt thickness estimation,”, continues Mads. The MALÅ CX ground penetrating radar (GPR) system allows users to scan concrete structure simply and safely and present GPR data clearly for real-time and in-the-box data acquisition, display and analysis. In most cases, scanning is performed in straight lines and in perpendicular directions and the data displays reflections which reveal the features within a concrete structure. One impressive feature of the MALÅ CX ground penetrating radar (GPR) system is the simplicity of the included interactive migration tool. Migration is a processing technique which focuses the reflections in the ground penetrating radar (GPR) data images to its point source, allowing for clear and precise interpretation of even the most closely spaced concrete features. Migration is also useful for identifying and separating features that are overlying each other (e.g. a utility running directly above a bar of steel reinforcing). In addition to visual identification using ground penetrating radar (GPR) , the MALÅ CX system was the world\’s first to combine GPR with the more common Electro-Magnetic (EM) technology by way of a fully integrated 50/60 Hz sensor. This combination allows the detection of both metallic and non metallic objects and features, but also aids in the detection and location of metallic conductors energized with 50/ 60 Hz within the structure under investigation; thereby offering an additional element of safety to the system. In an area where quite detailed concrete investigation is required, the MALÅ CX ground penetrating radar (GPR) system has the ability to create a 3D picture of the subsurface. Users collect a number of perpendicular profiles following the MALA grid map and the intuitive steps in the software. Processing of this collected data is performed in real-time, in the-the-box, and presents a ’top-down’ and cross sectional view of the area under investigation. There are a number of features within this processed 3D ground penetrating radar (GPR) data which allows users to look down \’though\’ the slab and to identify features at different depths and running in different directions. A very useful aspect of the 3D projects is the ability to select a ’virtual core hole’ and find a clear space within the investigated area, that can be marked on the ground surface and approved for penetrations. The system is known for its accuracy, reliability, ease-of-use and is going a long way in providing a higher level of safety on work sites. The MALÅ CX ground penetrating radar (GPR) system has the capacity to minimize risk and save lives (e.g. by avoiding power cables) to save money (e.g. by avoiding post-tension, structural steel and utilities which, if cut, can result in long periods of down time and repairs) and provides a new level of knowledge with regards to concrete and structural investigation. In Australia the CX11 System is typically used concrete investigations. Main targets are post-tension cables and utilities. The system is also used for the mapping of steel reinforcement which under some conditions should not be cut by coring. Typically a locator using the CX11 concrete scanner would be called in to ‘clear’ an area prior to cutting or coring the concrete slab. Asphalt thickness estimation is also an common application The CX11 system is suited for individuals and organizations wanting to service the infrastructure and construction industries. 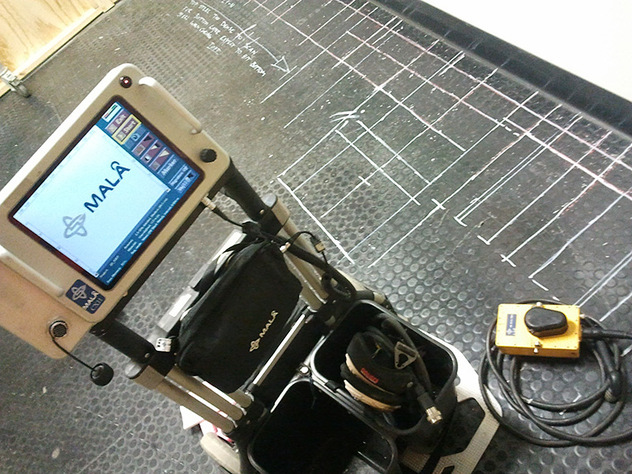 The MALÅ GPR CX System provides accurate inspection of concrete structure such as floors, walls, slabs, bridge deck for the detection of metallic and non metallic objects and features, i.e. rebar, post tension cables, metallic/ non-metallic conduits and pipes, voids, as well as the measurement of slab thickness.